I know I have developed an annoying new habit of teasing you with vague announcements of upcoming projects. So here’s a status update on a few of the pots bubbling on the stove. • My next book, currently known only as “The Patti Book” is coming along very well. I have shared the first draft with my editor Bridget and she has had a lot of useful input. The second draft is almost finished and I will soon start polishing it for final transmission to San Francisco. I’ll probably do a third before I officially submit it bto Chronicle — my deadline is in the early fall. I am struggling with the best title for the book — that’s always the hardest part of the process for me. • I have received lots of spectacular suggestions for artists to include in my book on travel journaling. Thanks so much to everyone who sent in submissions and refferals. If you have any other ideas, I am a still wide open, particularly for journals that include both great drawings and writing. Even if all of the artists don’t end up in the book, this list of travelling journalistas as a wonderful resource that has already inspired me a great deal. Post your suggestions here in the comments section; I check it regularly. • My travel schedule continues. I will be taking a quick jaunt down the C&O canal, cycling 100 miles or so in what may prove to be debilitating heat. Then Jack and I head to Paris and Rome for a brief sketching interlude. I’ll be shooting in California in September and may or may not go to Indonesia and Kazakhstan in the fall as well. I think I will have circumnavigated the globe (or the equivalent) three times by year’s end! • Cathy Johnson’s book is #1 on Amazon’s Drawing best steller list! Wahoo! • I have been invited to apply to speak at the HOW design conference in Boston next spring. I had a great time when I did it last time, addressing thousands of designers and encouraging them to draw. I really hope I get to go again. Great news on all fronts. Thanks for the update! No rest for the gifted…is there? Where will we be able to view your drawing film when it comes out? Looking forward to your Patti book….Love Lines? Where Love Draws The Line? Jealous of all your traveling plans! Enjoy! 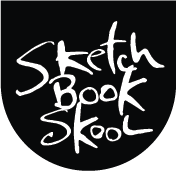 When you come to Boston, hope there’ll be time for a sketchcrawl. drawing dabblers. I’ll have to start practicing more! You are just a flurry of creativity and sweat (referring to the bike ride). Ah, Paris and Rome with son Jack——wonderful!! I am wondering where Jack is going to college? Can’t remember whether he is a H S senior this year or a freshman in college! Hope you make it to Boston. I’d love to met the man who inspired Jane LaFazio and me!